Mexico City – Mexico, February 13, 2013 – The Telecommunications Company Suriname(Telesur), the national operator for Internet, mobile and fixed telephone services, announced the deployment of a new OSS platform developed with IBM Informix Genero under their OEM license agreement with Four Js. There is an ever increasing demand at Telesur to integrate existing applications with new market services and Genero’s Web Services helped tie business services together. As part of the modernization project, 4,000 Informix 4GL programs with over 1,100 screens representing 800,000 lines of code were refreshed. The whole project was complete in 9 weeks including training – something of a record according to Telesur. IBM recruited Four Js to provide professional services and project management of the entire modernization process. Only two days training were required to bring the operators up to speed and productivity improvements were felt by users from the outset. Encouraged by this success, Telesur now plans to move other applications to Genero and several in particular to mobile platforms, thus fulfilling a CEO initiative. By the first quarter of 2013, applications will be web enabled for the first time with graphical reports created by Genero Report Writer. On May 1, 1945 the National Radio Broadcasting Service and the National Telephone Service of Suriname were merged into the National Telegraph and Telephone Service, better known as LTT. 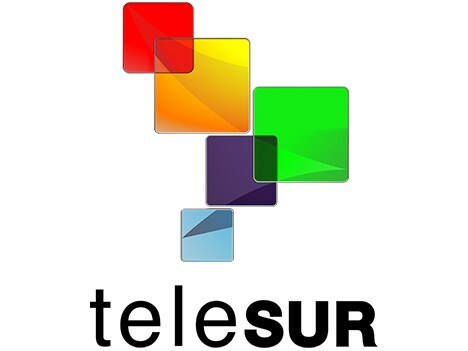 This consolidation continued in 1973 with the merger of LTT and the National Telegraph and Telephone Service into Telesur. In 1920, the Surinamese Bauxite Company was granted a concession for the establishment of a radio station in Paramaribo (Cultuurtuin) on its Moengo plants in the Marowijne District for exclusive private use with the ships that transported ore to the United States of America. The telegraphic connection with foreign countries was at that time in the hands of the French Cable Company Societe Francaise des Telegraphes Sousmarines (SFTS), which on September 18, 1889, obtained a license to connect Suriname with the global telegraphic network via underwater cables. On March 16, 1925, the radio station in Paramaribo was transferred to the Surinamese Government for the price of 1 guilder. On this occasion, the Surinamese Bauxite Company, in addition to more profitable concession conditions for its ore, was also granted the right of free telegram traffic between Paramaribo and Moengo. Some years later, the station at Moengo was also transferred to the Surinamese Government.